Vegetable casseroles are one of the versatile dishes. Vegetable Casserole can be served both as a side dish and as an independent dish. For cooking vegetable casseroles use: zucchini, colored cabbage and broccoli, mushrooms, eggplant and much more. Vegetable casserole can be cooked at any time of the year, and use both fresh and frozen foods. 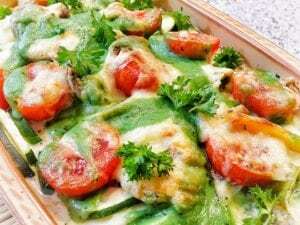 We recommend you to use one of our verified recipes of vegetable casseroles. Lubricate the form with butter. Place the vegetables in it, alternating layers of eggplant and courgettes with layers of tomatoes. Salt and pepper. Sprinkle with vegetable oil, add finely chopped garlic, bay leaf. Put in a preheated oven for 1 hour. Serve the casserole hot, sprinkle with chopped basil.